Nusa Penida is full of bizarre and unique sights, but this one is a bit different from anything else the island has to offer. The Teletubby hills are a group of big round hills in the center of the island that are named after the background scenery from the Teletubbies kids show. After skipping this place for several years now, I finally decided to stop by here last week and check it out. 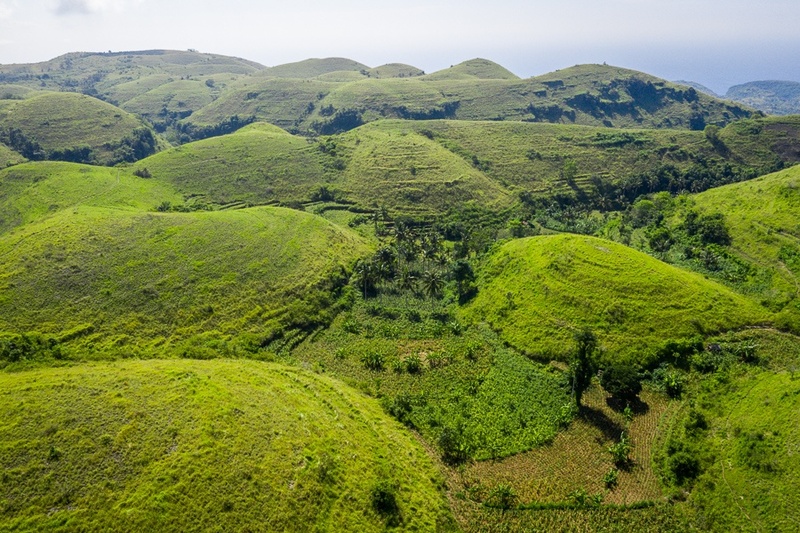 The official name of the viewpoint is Teletubbies Hill, but sometimes it’s called by its Indonesian name, Bukit Teletubbies, which has the same meaning. 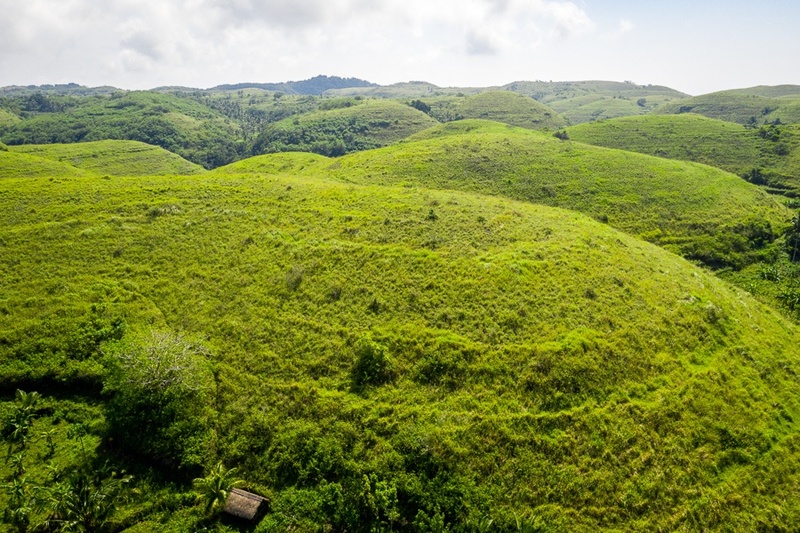 I honestly wasn’t expecting too much from this place based on the reviews I had seen online, but since I went during the rainy season (January) the hills were bright green and looked awesome. They look kind of like the Chocolate Hills in Bohol, Philippines, and using a drone here gives you some unique perspectives. The hills were nice and green in January. The key to enjoying this viewpoint is to come here during or just after the rainy season, between the months of December and March (roughly). April may be green too, but I can’t say for sure. If you come here in the rainy season, the hills will be a perfect green color. During any other month, the hills will be dry and brown, so they won’t look as nice. In any case, there was a good breeze at the top of the hills and it was a nice quiet place to hang out for a minute. The hills are located on the southeast side of Nusa Penida island. There’s a small pull off by the hills that is accessible by car or scooter, about 1 hour drive from the main docks and accommodation in northern Penida. Be careful if you go by scooter because the road is rough and may be dangerous in some spots if you don’t take it slow! No hiking is needed to see the hills, but you can walk up to the top of the center hill if you want to take a closer look. There is no fee for parking or visiting the hills. It’s free.